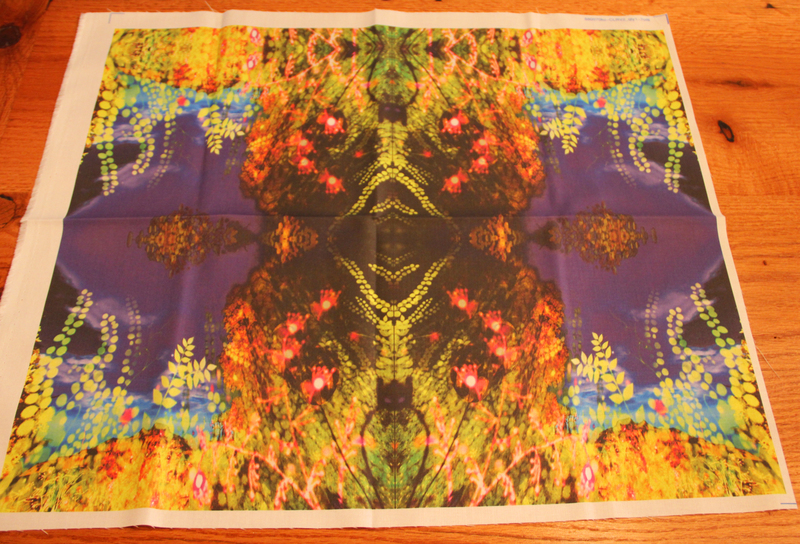 You are currently browsing the tag archive for the ‘print on fabric’ tag. 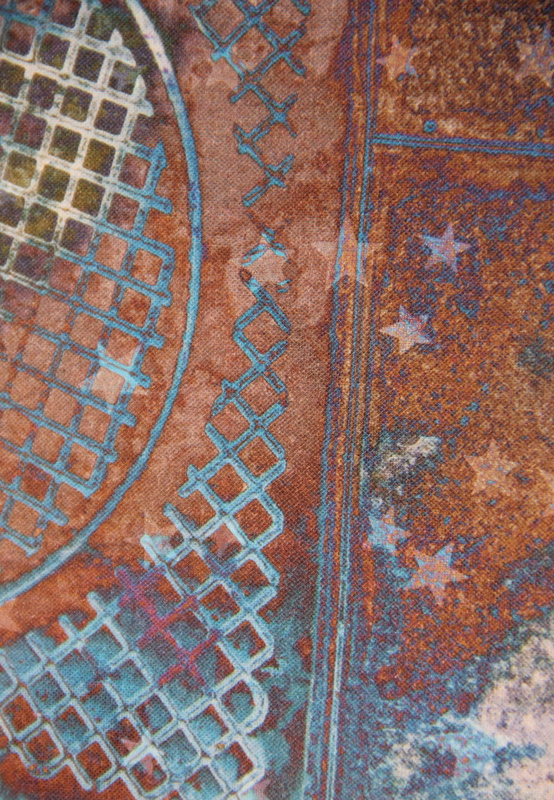 This small quilt was created by manipulating images in photoshop to create the center image and the star images that were printed on the fabric used for the center and the inner borders. 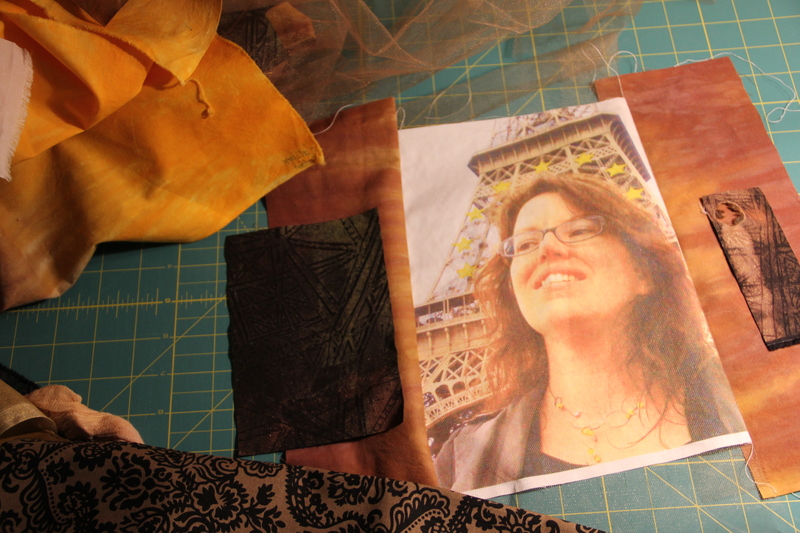 Ever since I took a one week class with Pat Mink the summer of 2010 (*see note below), I have been intrigued with printing photos on fabric. An article, The Digital Quilt, was featured on this topic in the November/December 2003 issue of FiberArts and it provides examples which reflect how effective this process can be in fiber arts. In a recent post on the World Quilt Show in Palm Beach I provided some examples of photos in quilts that I thought were really good. 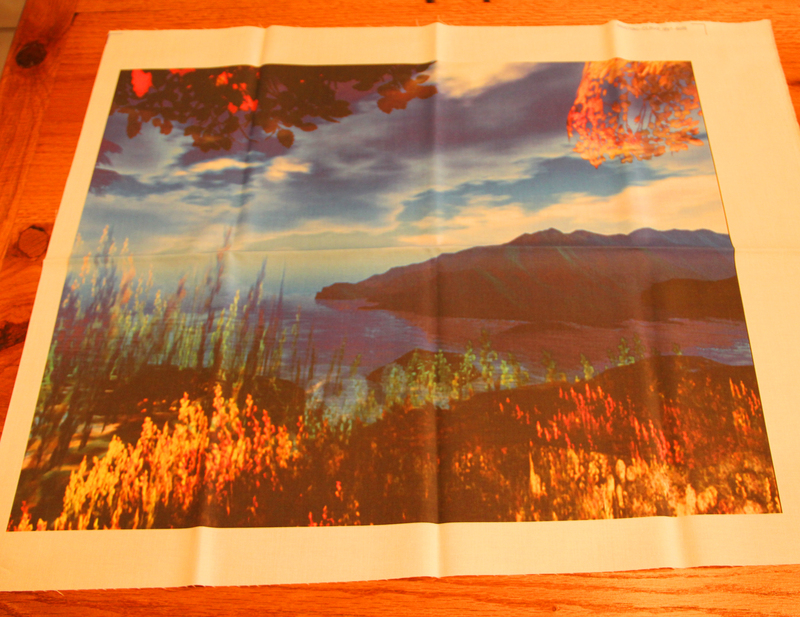 Auditioning fabric to go with this photo. 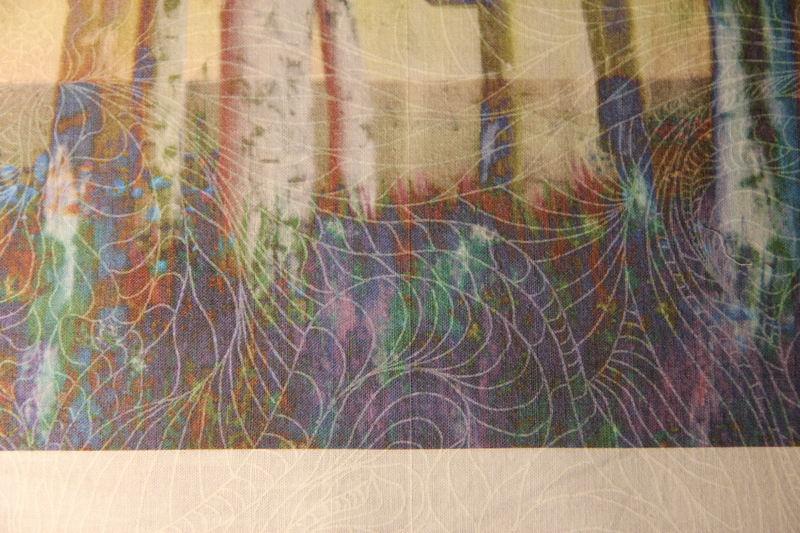 You want to use a printer with pigment based inks as they are more light and color fast. 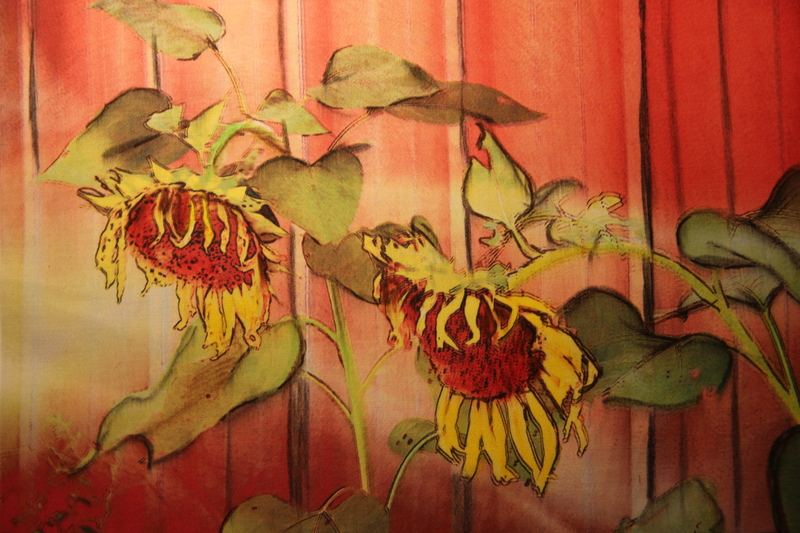 I used an inexpensive Epson C88+ ink jet printer with Durabrite pigment inks. It prints regular papersize prints 8.5 by 11 inches plus banner size prints which are about, 8.5 by 40 inches. While you can treat your own fabric with Bubble Jet Set, iron it on freezer paper and trim it to 8.5 by 11 inch or banner size, I prefer to purchase fabric which has already been treated and backed. Different fabrics such as linen or sateen, or smooth or with a raised (white on white) pattern, will provide different results. The obvious pattern in the fabric alters the look of the photo. 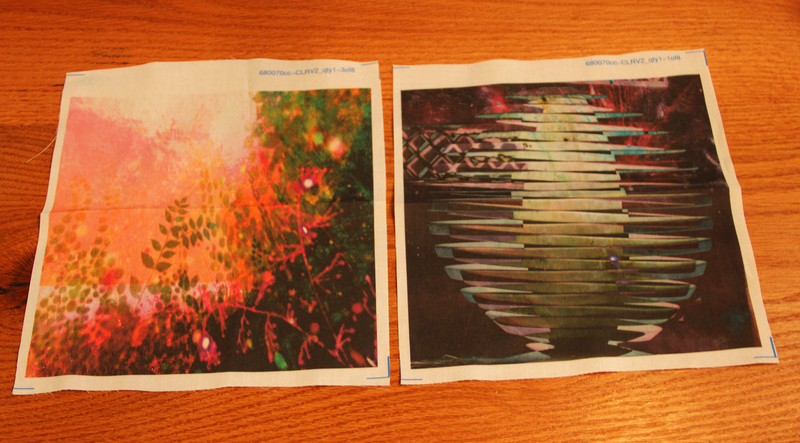 It appears that the stars are part of the image when they are in fact part of the fabric. 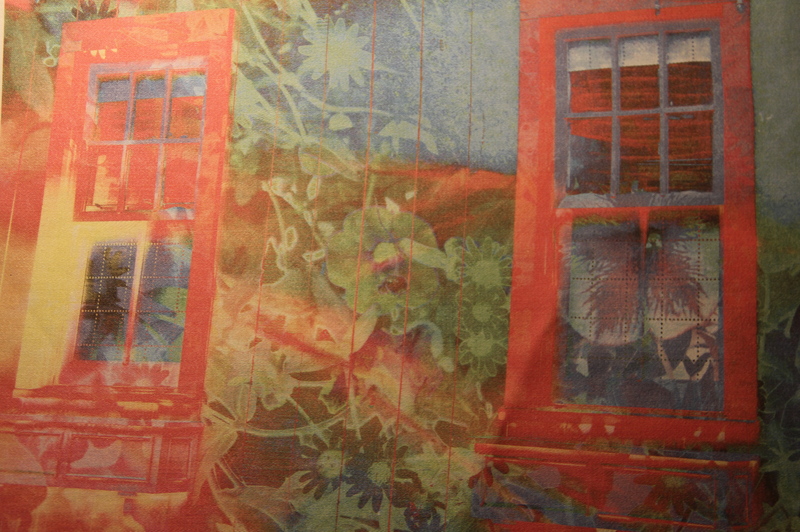 I prefer to use white fabric as the white in the image comes from the fabric not from ink in the printer. Pretreated sheets come in silk, organza, and assorted cottons such as pima, poplin, twill, canvas and sateen. Prepare your image in any photography software such as Photoshop or Photoshop Elements. Consider adjusting the saturation of color and the brightness/contrast of the image as what you see on the screen is brighter than what you will print on fabric. You can also play with layers and different effects to make significant alterations to your photos. 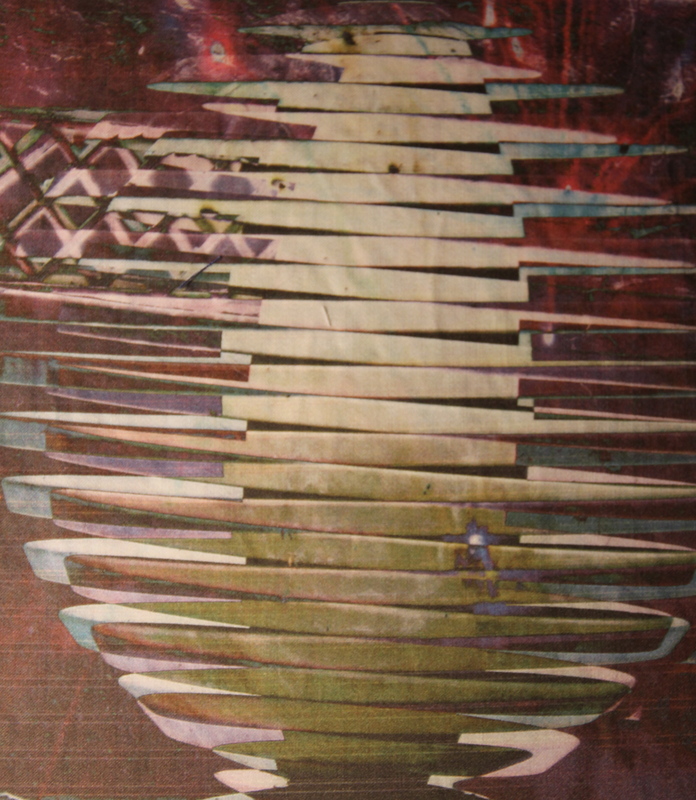 The two photos on fabric above were altered significantly in Photoshop by layering several photos and applying various effects. The above photo on fabric was altered first with a watercolor effect in photoshop and the layering with another photo, then it was drawn on with pastels. My own perference for printing on fabric is to print the fabric, pull off the backing and let it sit 24 hours, then rinse it in cool water and a small amount of Bubble Jet Rinse and air dry or dry with a hair dryer. 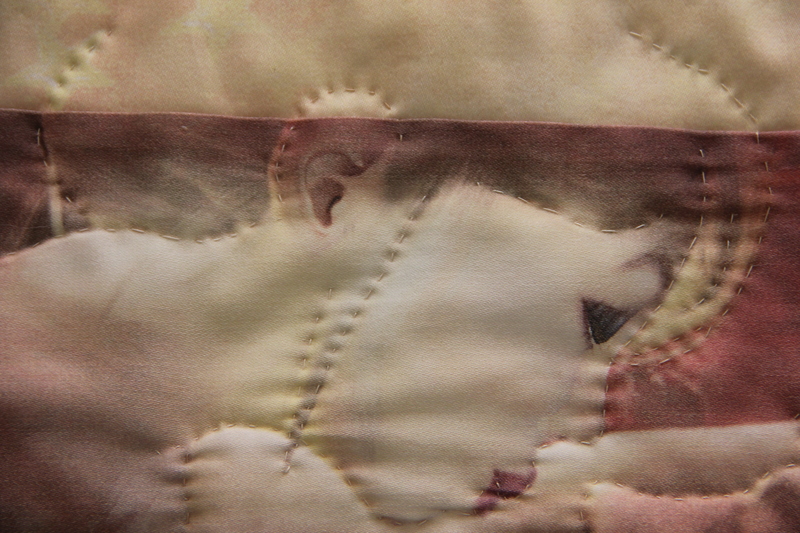 *note: I was excited to learn that one of the other students with me in the class with Pat Mink, Marilyn Wall, won second place for her quilt in the Digital Imagery category recently at Houston. 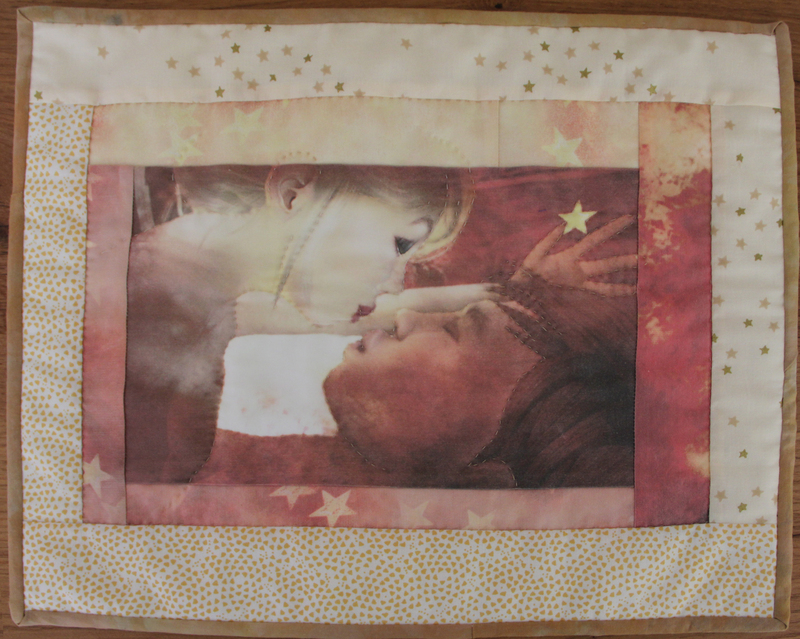 Hours after posting this entry, I read a great article in Quilting Arts, October/November 2011 on using digital images on fabric. The article is “From Flat to Fabulous with Digital Monoprints.” In it Margaret Applin details the steps she took to use Photoshop Elements to layer and alter three images to create a unique look.